Thank you to all the volunteers who attended the planting day at Betty’s Woodland on Thursday 17th January. For further information about the volunteer’s work please see the Telegraph & Argus article, which highlights the positive contributions of volunteer’s during the Betty’s Wood planting. Horticon were engaged by Salford City Council to install the latest woolly word to take up residence on the canal - #FLOATIEST. It has been knitted by the Bridgewater Canal Knitting Project who enthusiastically knit heritage inspired patterns designed by artist Rachael Elwell. Its new home is in Boothstown Marina and we think it very fitting that the boat moored next to it is the Francis Egerton*. We wonder what he would have made of it?! *Francis Egerton was the Third Duke of Bridgewater - the Duke who, along with John Gilbert and James Brindley was responsible for the building of the Bridgewater Canal. 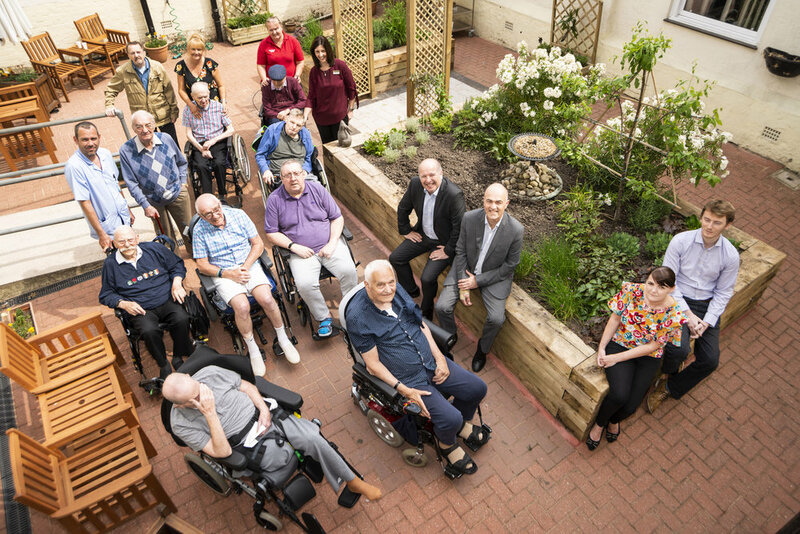 We were delighted to support Broughton House by donating a patio umbrella and a trellis for their raised planter, in a recent garden renovation project undertaken by volunteers from Urban Vision. Groundwork organised a school visit to Centre Vale Park and invited our Contracts manager, Steve Holden to attend. Steve talked about the works we are currently undertaking in the park as well as discussing Health and safety and the Construction Industry in general. Congratulations to The Worsley Village Association, the winners of our £500 community fund competition. The money is going to be used towards the Worsley Village Summer Fair, an exciting event attracting around 700 local residents and visitors. The fair includes over 30 stalls selling a variety of food, drinks and other goods. There will also be children's activities and a live performance from a Ukele band, as well as a photography and art contest. Thank you very much to all the organisations who entered the competition. 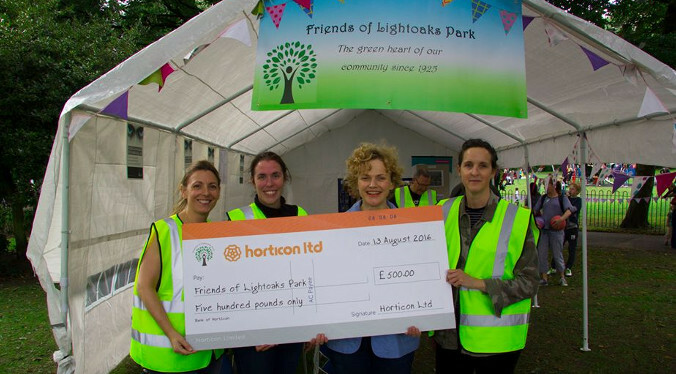 We were delighted to be able to support the aims of the Friends of lightoak Park, where we have recently completed the installation of playground facilities, by making a donations of £500 which was presented by Maxine Peake, the well known actress. Works are currently underway in the play area at Lightoaks Park in Salford. We organised a competition for Year 1 and Year 2 pupils from Light Oaks Infant School to design a poster to warn other children not to enter the building site. We were very impressed with the posters and it was difficult to choose the winners but after a lot of deliberation the 3 winners from each class are now displayed on site. Congratulations to all the entrants! Horticon Ltd were delighted to support St Anne’s Hospice in Little Hulton by donating shrubs, in partnership with Specimen Trees, for Urban Vision’s planting day. Please click here for more details.